Okay, a kindof sad blog. I didn’t want to write this, but I don’t want to talk about it even more… however, I know the people who read this love us very much, so I think I’ll dish once in an effort to not have to tell this story over and over. Yesterday we got asked to leave Children’s Workshop- nicely, but yes, asked to leave. I am still reeling and really surprised. We thought that Augie was making great progress there, but they feel the class size (over 30) is too big for him and that they just can’t give him the attention he needs. Primarily they are having a really hard time with potty training (a required part of their movement from age group to age group) and sometimes with behavior. I have taken this totally personally. I am devastated. It takes me a long time to trust people with my babies, and I had grown so comfortable. 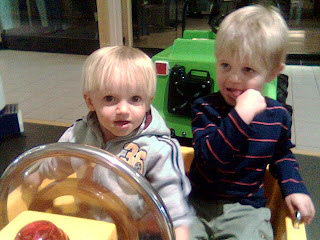 Jeff and I have also seen Augie and Becket grow so much there… it has been really hard. Seem long and drawn out? Actually it is not too bad. If you know other parents with Autistic kids you know we have it easy. Augie has actually been amazing at home. Very few fits, very very responsive to correction. There was a time in his life when I walked on egg shells but no more. He is very much a normal kid. Apparently they just aren’t able to take the time to give that to Augie when there are so many others. Okay, so what is the down side? Well, they aren’t as academically focused. We have told ourselves this doesn’t matter, but it sort of does. And I am just fearful. I often have this stupid spirit of fear. What if they don’t love my kids enough, what if they get bored, what if they reject Augie? I guess I hate change. Also, personally, I feel rejected. Like I haven’t done enough, Like I don’t know how to give my little guy the best tools to cope. Also, Becket’s teachers are AMAZING- I love them as teachers and personally. It is a weird thing when you sacrifice one child for the other. Is Becket always going to be in this position? Am I being over dramatic? Since this is not really our choice I will trust that it is best. And, I know it is going to be fine- maybe better- in the long run. b. Kids are kids. I love who my kids are. I wouldn’t take anything ANYTHING back or change anything. That is not survivor talk… I mean it. c. We are going to get to go to a daycare that is way more representative of the people of Greeley… and (although this is a typical daycare) there are already 23 kids there that receive different kinds of therapies. I feel like God is forcing our hand and I should feel blessed to have to move our family. Okay, so my kid is not autistic, but here’s my story: We had him in a day care that was SO far away and it had a TON of kids in it and Thomas was biting and hitting and not really talking…he was chittering like an angry chipmunk when pushed too far. We finally cried uncle and got a new care provider that’s so much closer and I can’t begin to tell you how wonderful it is to have seen him blossom and not bite and tell us stories. Sometimes when we aren’t listening to God, God forces us to listen. Are you listening now? 🙂 I think it will all turn out great and remember that playing and interacting ARE learning for a kid. Plus, two little boys that always sleep together love each other, so I wouldn’t stress about having to pull both out. They are brothers and they stick together. You have beautiful children and you’re a wonderful mommy. You are just so honest and sweet! I know this has been so hard but you handle it with such grace. I love how you have reflected and put this all into perspective. When I look at your beautiful Augie, I want you to know I see a typical 3 year old boy–energetic, bright, fun and amazing little boy. We love your family. Let’s get together soon. You’re an awesome mom! Don’t ever forget that! Take care! Thanks everyone. Really. I am not a big Hillary fan, but I don’t know what I would do with out my Village.